- When you eat Udder Pancake's Salmon, Crab and Caviar Eggs Ben. SO GOOD OMG! Kaffir lime is a fruit native to tropical Asia like Thailand and Philippines. It is commonly used in Thai curry paste for the aromatic, astringent flavour. The mango taste in this drink is sweet, thick and rich, while the Kaffir lime balances out the mango flavour with its own aromatic citrus-y taste. This is seriously one of the better iced mango drinks out there! One of the coolest thing about this cafe is the glowing table. It makes everything looks mysteriously shiny, just like this drink - the Elderflower Gummy Bears. No one can resist not ordering this! How often can you see gummy bears drowning in a transparent mug? This is very light and refreshing, and goes really well with the Pulled Pork Fries! The Pulled Pork Fries are golden shoestring fries topped with bourbon barbecue pulled pork collar with warm melted cheddar cheese, lime sour cream, sliced shallots, jalapeno and chives. Just by looking at the amount of ingredients used alone, you know this is a starter that will tug at your sense of taste. The pulled pork collar is marinated flavourfully without being too tough or dry, while the cheese and sour cream adds to the creamy texture. The mild spicy aftertaste of the sliced shallots and the jalapeno fires up your senses, making you feel like eating another after another for that shiokness. This is the honey-glazed flame-grilled, paprika and rosemary-marinated boneless chicken thigh on grilled summer vegetables, topped with a crispy sunny side up and served with honey mustard sauce. At $14.90, this is totally worth every single cent with the chicken and the pancakes. The grilled vegetables are a refreshing change from the usual salad. I would love to have more of the grilled carrots and cherry tomatoes though! I am surprised that not many has discovered this yet. 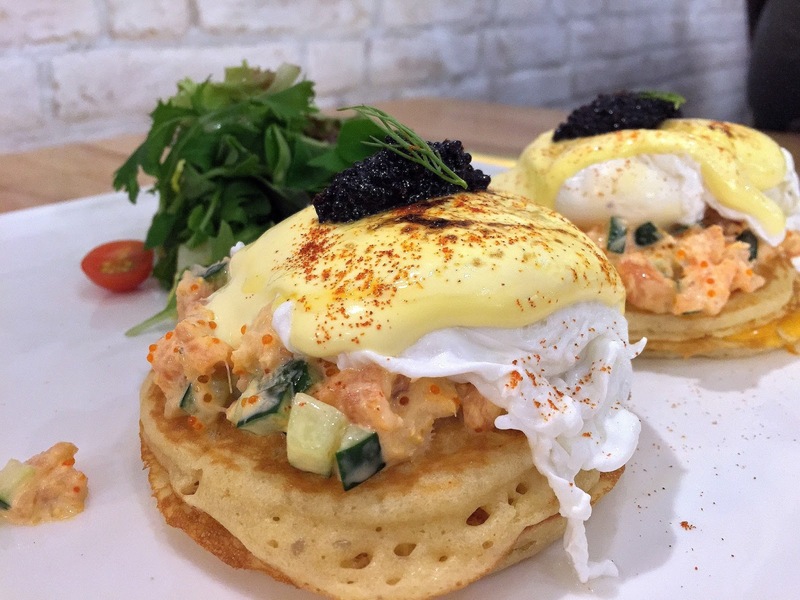 This Salmon, Crab and Caviar Eggs Benedict contains 2 poached eggs with citrus hollandaise on a pile of smoked salmon, crab claw meat and ebiko slaw on grilled cheddar cheese pancakes, topped with lumpfish caviar and fresh dill and served with fresh greens. I have eaten a lot of eggs benedict, but a lot have failed in their hollandaise sauce. For me, I feel that the hollandaise sauce should be rich and creamy to mask the blandness of the egg whites (yes, this is why most people want to find someone rich.. because their wallet is just as bland as me ). Not only is the citrus hollandaise sauce rich and flavourful in this one, the creative seafood mix of Salmon, Crab and Caviar makes you feel like you are diving in a deep blue ocean. The plentiful ebiko sandwiched in between the crab claw meat and poached eggs gives a lightly salted taste to the buttery cheesy pancakes, and the fresh greens definitely help in the resetting of your palette so that it will not feel 'jelak'. 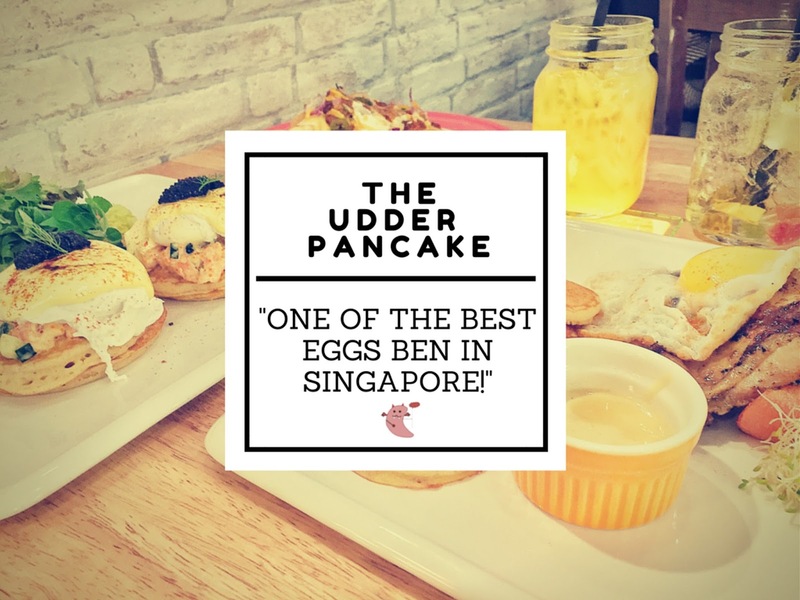 Definitely one of the BEST eggs benedict variant in Singapore, this is a MUST-TRY if you like the unborn-offsprings of chickens! Besides the #5evilbeans food, the interior design of The Udder Pancake is also worthy of #5evilbeans. The quirky yet simplistic layout of the cafe will lift up your otherwise tiring and moody day with their hilarious "In Case of..." Boxes. 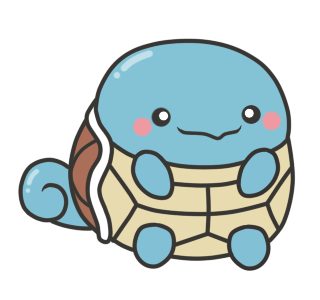 For example, there was one panel which states "In case of fire, break glass", and inside the red panel box sits a squirtle. 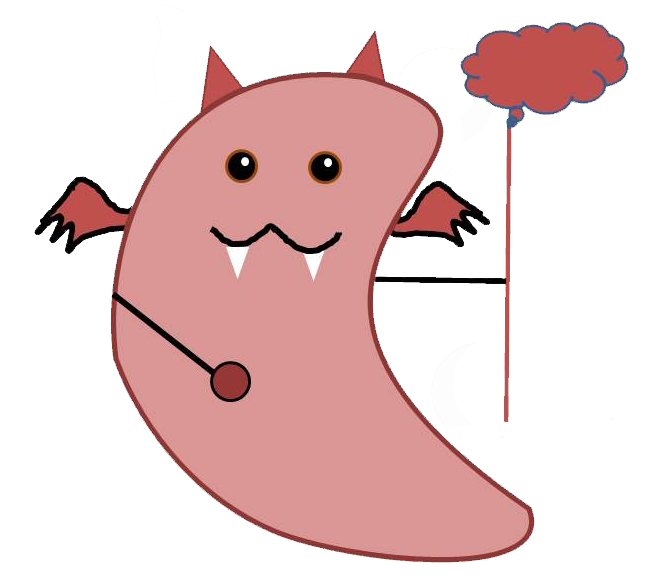 There are numerous other red boxes with puns and jokes that are just as funny as the Evilbean. Take a walk around the cafe while waiting for your food to be served, giggle silly at some of the displays, and then enjoy the good food. And that, ladies and gentleman, is how you chase away all your blues. "In case of needing a laugh, break glass"
- This is a cafe that will brighten up your day with their quirky cafe interior and their #5evilbeans food. 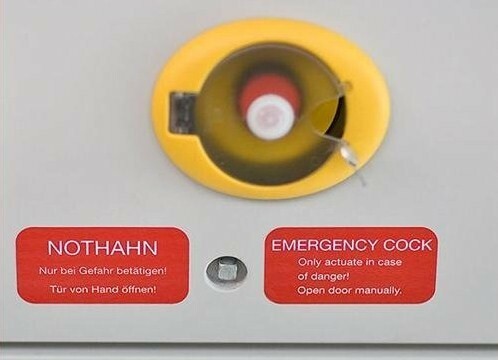 Even guys would want to take a selfie with the hilarious "In case of.." boxes! - MUST-ORDER: Seriously, everything. Really. I will be back for more of your delicious food Udder Pancake, please maintain your #5evilbeans standard!